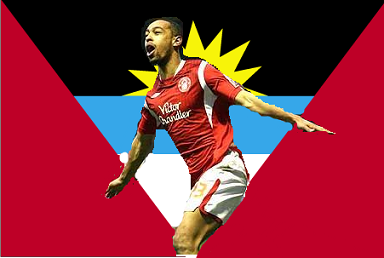 Good week for Dexter Blackstock after returning to goal scoring form he is now set to commence his International career by playing for Antigua and Barbuda. Blackstock is eligible via his Grandfather and so will join his new international team mates in a friendly versus Trinidad and Tobago, before they enter the next phase of World Cup Qualification where they will face Guatemala, Jamaica and against his teammates Robbie Findleys nation of USA. The game will be played at Sir Vivian Richards Stadium, which is much better known (Although also infamously) as a West Indies Cricket venue, used in the 2007 Cricket World Cup.